Mona Lisa’s mysterious existence seems to have been documented solely by her legendary portrait. To explore her persona in new perspective, the following presents a view of her that only Da Vinci could have seen for certain. 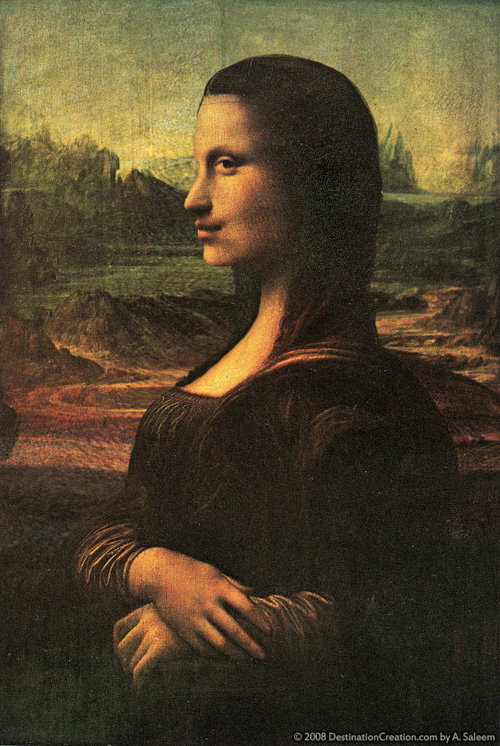 Her profile was created using the original portrait, retaining both the artistic style of Da Vinci, as well as the physical features of Mona Lisa herself. That is truly brilliant. Although the head/neck seems a bit off, I couldn’t ever say anything bad about it because it is wonderfully done. She’s a rather ugly lady. Looks like angelina jolie to me.